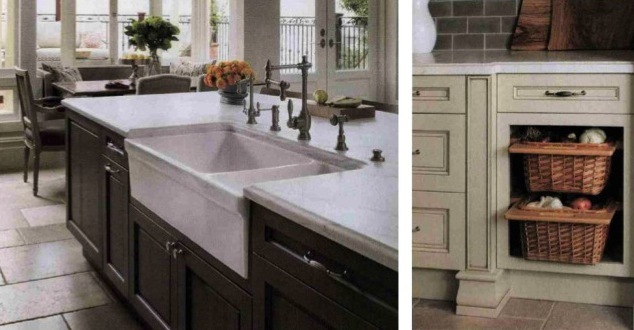 The transformation of a San Francisco home’s kitchen into a Tuscan inspired eatery was featured in the March issue of Better Homes & Gardens: Kitchen & Bath Ideas, and Top Knobs took center stage. After California couple Heather and Massimo met during an extended stay in Tuscany, they knew that their first order of business was to remodel their kitchen using the Italian influences that they fell in love with. The Victorian style home’s kitchen was remodeled in the late 80’s, but lacked the culture and character that Heather and Massimo had imagined. “The kitchen was really unattractive. In fact, it felt more like an office space with its long bank of plain cabinetry and black appliances,” says Heather. The newly remodeled kitchen included limestone floor tiles, a handmade limestone range hood, a handmade tile back-splash, and custom two-toned cabinetry all tied together with popular Italian motifs. 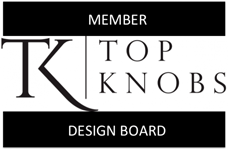 Top Knobs cabinet hardware was used to accent the beautiful cabinetry and finish off the Tuscan design. The Devon Knob and the Tuscany D Pull from the Top Knobs Passport Collection, both in the Pewter Antique finish, were used in the remodeled kitchen. The article “Italian Romance” from Better Homes & Gardens: Kitchen & Bath Ideas was written by Mervyn Kaufman, edited by Karen Reinecke, and photographed by Paul Dyer.